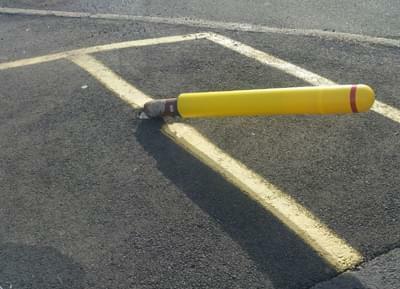 Are your bollards getting hit on too much? This is a problem that a lot of business owners and facility managers deal with on a daily basis thanks to forklifts, pedal mistakes, distracted driving, and/or overanxious drivers in high-traffic parking lots or storefronts. And though these bumps and impacts don’t destroy the bollard, they can start to really leave their mark after a hit or two. Normal damage to high-traffic, constantly-impacted bollards includes bending, leaning and chipping to both the structure and paint. When this happens, it can turn the post into an eye sore. And that’s just bad for business. 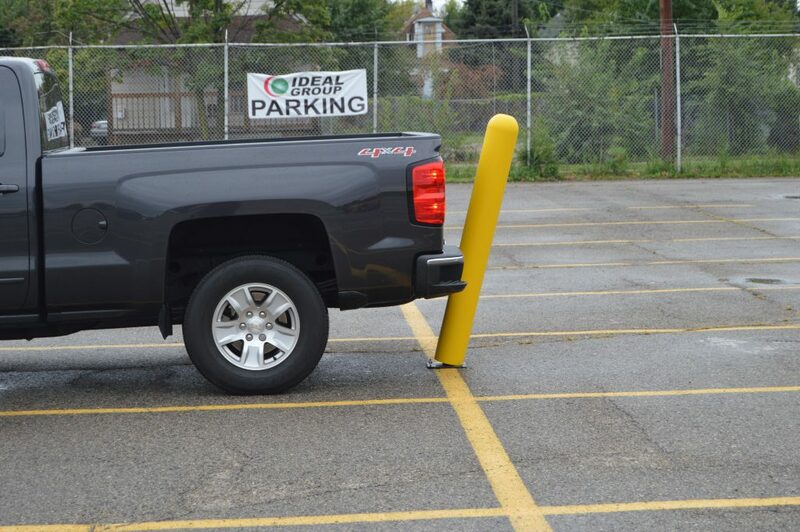 But, that won’t be a problem anymore thanks to Ideal Shield’s Flexpost flexible bollard. 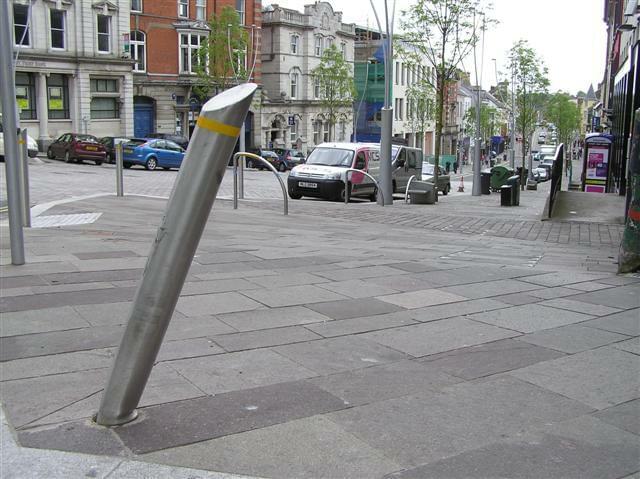 The Flexpost bollard is an innovative twist on the standard bollard post. 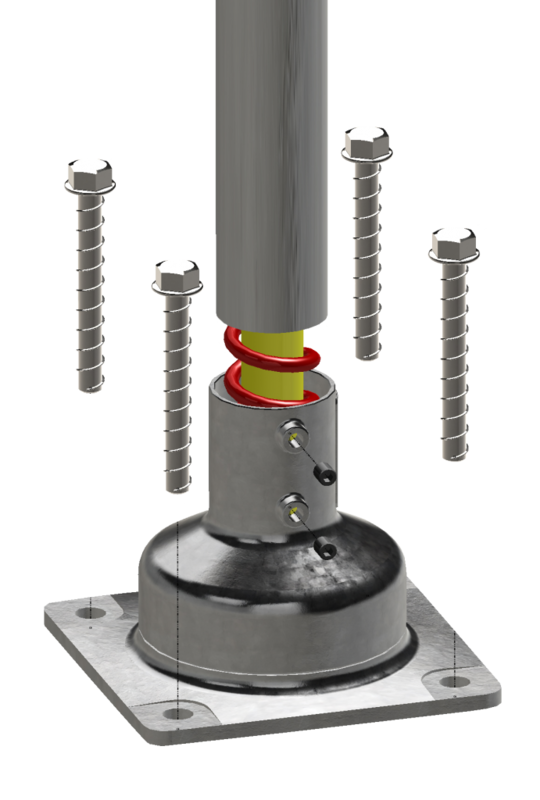 Available in both a standard and heavy-duty option, the flexible bollard post is surface mounted and looks like a standard bollard post but, instead of a normal steel and cement post underneath the cover, the Flexpost features an industrial-strength spring at the base of the bollard. 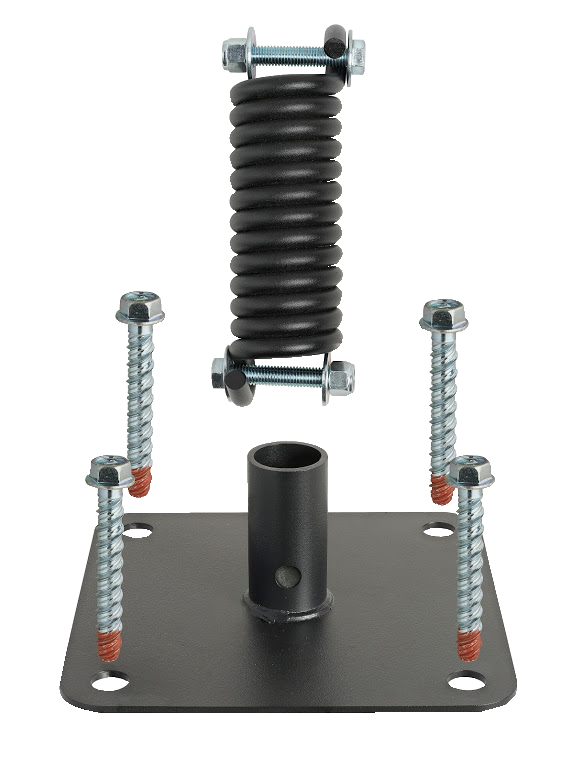 This spring-system gives the flex bollard the ability to move 360° when contacted (the heavy-duty option only flexes when contacted by a vehicle), which helps both the bollard and the vehicle. 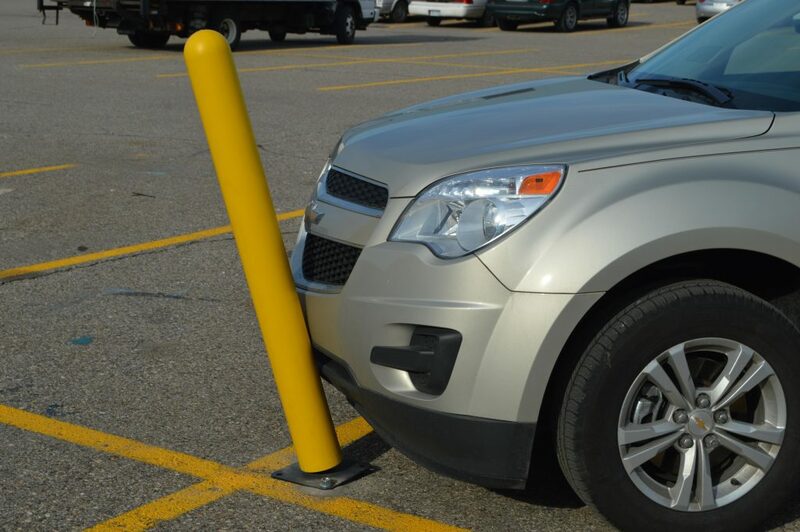 The “give” that comes with the Flexpost not only will stop the post from bending and getting beat up, but it’ll also help limit the damage done to the car, truck or forklift that strikes it. That’s just a win-win for everyone involved in the accident. 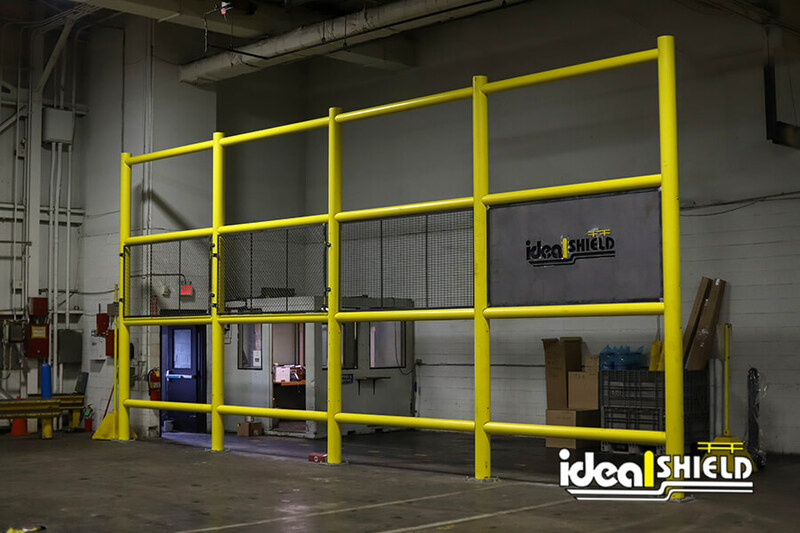 If you’re interested in “win-win” situations and keeping your consistently hit bollard posts from being bent and beat up, contact Ideal Shield today. 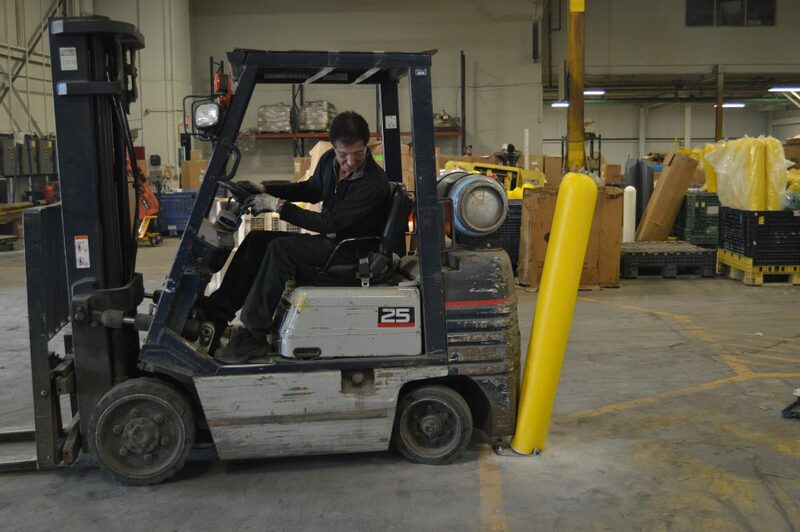 Our knowledgeable sales team will tell you everything you’ll need to know about our standard and heavy-duty Flexposts, as well as our wide array of plastic bollard covers that can fit any look or need you may have around your facility.